Looking for taste as well as health? Here's a super easy recipe that is a perfect blend of both. 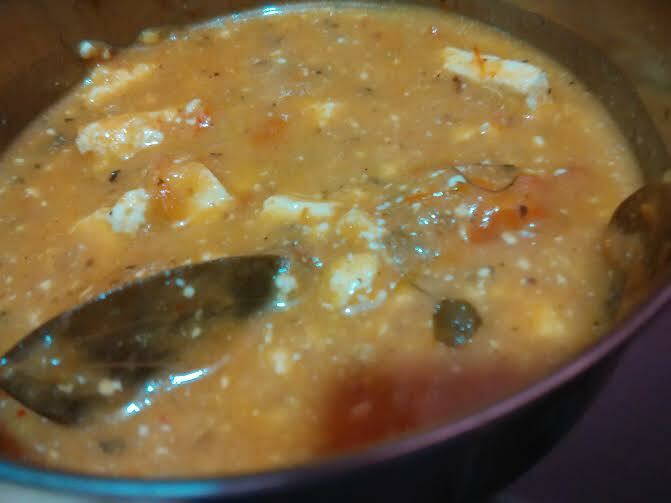 Though paneer makhni is quite rich and thick gravy, I have omitted the thickness part. But this does not mean it is not tasty. This healthy paneer makhni is mouth watering and lip smacking. 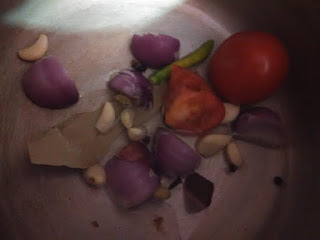 Take 2 onions, 2 tomatoes (may take more), 2 cloves, 6-7 garlic cloves, 1-2 green chillies, 1 inch cinnamon stick, 2 green cardamom, 1 bay leaf (tej pata), 3-4 black pepper corns and boil them with 1/2 cup of water in a cooker. Just 2 whistles will do! Let them cool. Take out boiled onion, tomato, green chilly, cloves, black peppercorns, 1/2 cinnamon stick, 1 green elaichi. Let them cool and grind them to a paste. 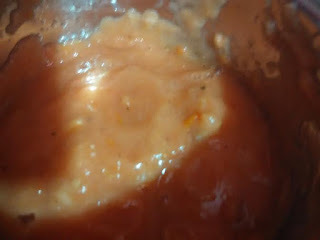 Take 1/2 tsp oil in a pan and bay leaf and then add the paste. Stir and fry it for 15-20 minutes. Add salt and garam masala. Stir well. Then add 1/2 cup milk, let it boil. Add 1/2 cup water (you may add cream/ malai here). Mix well. Add kasuri methi. Mix and add 2 tbsp of curd. Mix very well. Then add paneer pieces. Stir and switch off the flame. Your healthy paneer makhni is ready, Enjoy it with plain roti (Indian flat bread), parantha (fried Indian flat bread), or naan.